Description: TSAL064 - Puppy Love is statues that everybody loves. 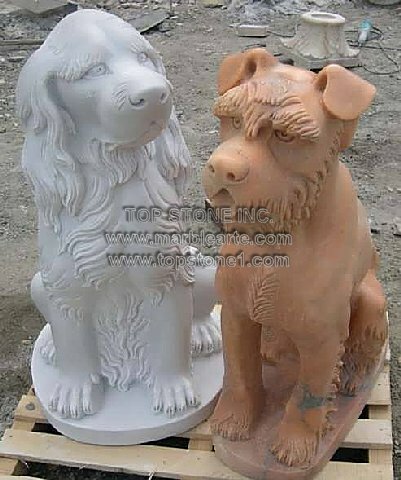 With one of these marble sculpture decors, you can be sure of dearly beloved animal statues as dog garden statues to befriend your real life furry friends.These are cheap garden statues that can be set up as beautiful garden memorials or as patio statues. You can buy one of these hand carved marble creations as marble statues wholesale and set them up as beloved marble dog statues.